We're not just a low price. 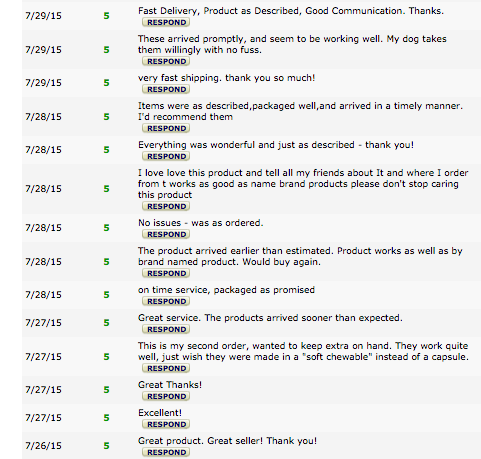 At Guardian, we'd rather let our customers tell you how much they love our products! We have endless pages of reviews raving about our top notch customer service, fast shipping, great prices, and of course, our excellent products. 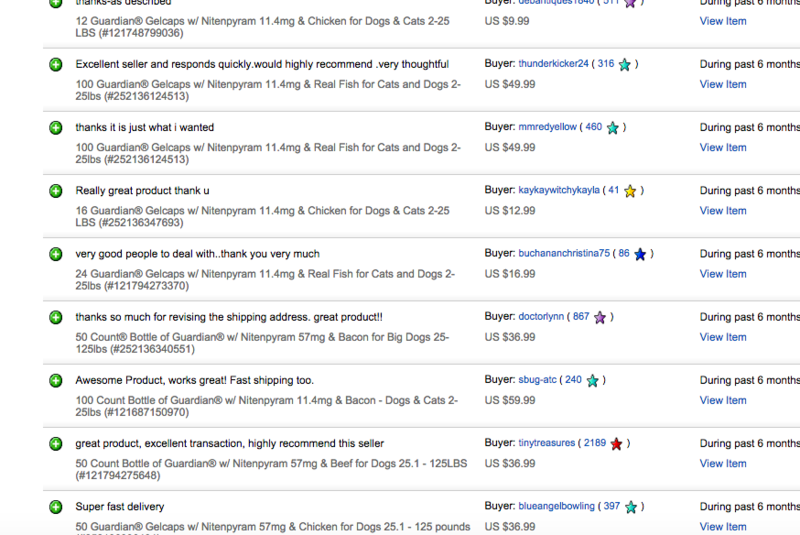 Our Nitenpyram products were Amazon top sellers and are ebay top rated thanks to our loyal customers. 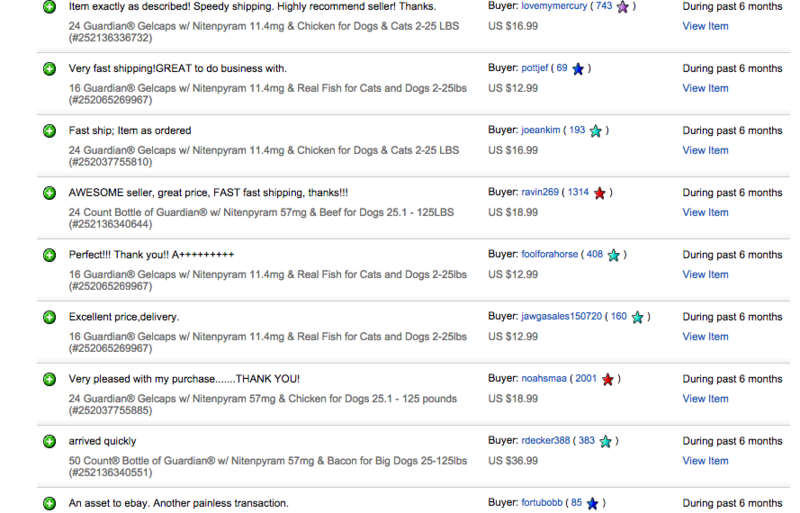 Here's a small sampling of why pet owners across America trust Guardian products when it comes to bettering the quality of life of their pets.